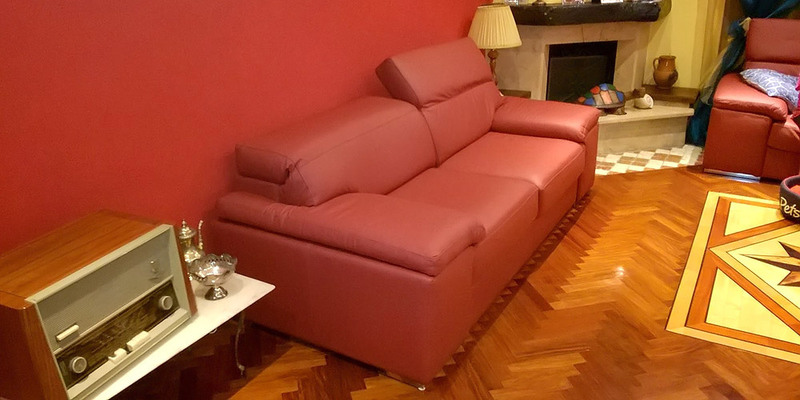 Unique Italian leather sofa, with rustproof metal decoration on arm. 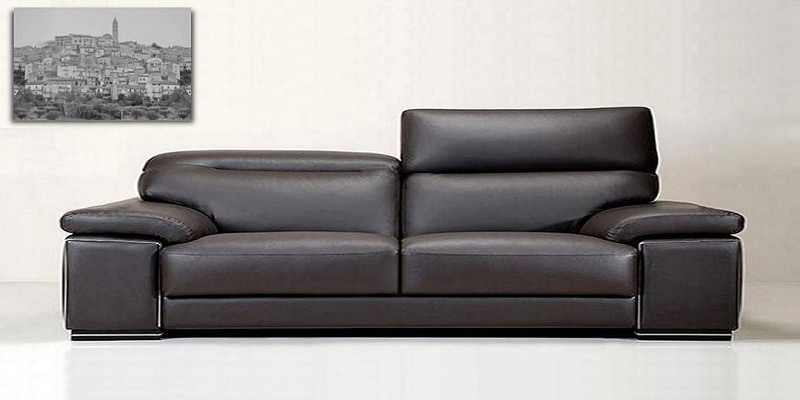 It is very popular because of its clear and modest décor, cozy seat and backrest with pillows. 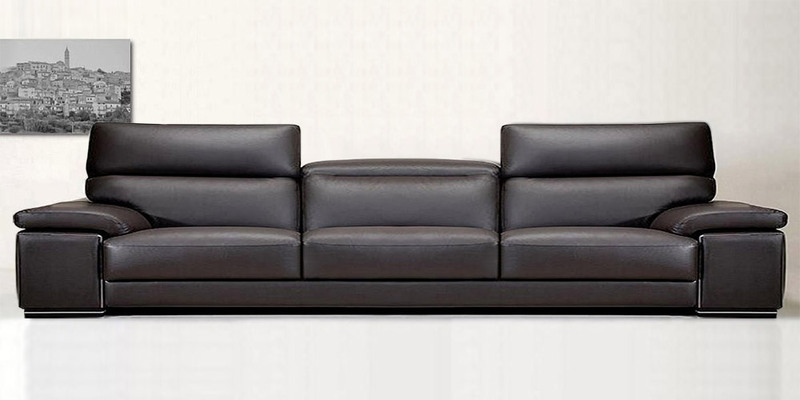 Folding backrests and big spongy arms are peculiar features of this leather sofa. You are sure to like the low price of this sofa. Don’t skip this opportunity. The sofa is also available in any custom size.